Are Antilock Braking Systems More Of A Hindrance Than A Convenience? As technology becomes more advanced, car manufacturers are getting creative with safety features that, overall, do a great deal to keep drivers and others on the road safe. One such feature is the antilock braking system (ABS). ABS is designed to allow drivers to steer safely in an emergency—such as when your vehicle begins to slide on ice or hydroplane through a puddle—by restoring traction to your tires that would otherwise have been lost with a normal braking system, which would have locked your tires. For the most part, the antilock braking system has been a huge success, but as with all technological features, there are some drawbacks. These drawbacks have the potential to cause serious damage, which could lead to serious personal injury. If you were involved in a car accident that was caused by a faulty ABS, you may be able to sue the car manufacturer for compensation. To learn more about your legal rights, reach out to the Miami car accident lawyers at Spencer Morgan Law for a free case evaluation today. Shuddering: It is not uncommon for ABS to shudder or push back once the system is engaged. When this happens, a driver who is not familiar with the system may let up on the brake pedal when he or she should be holding it firmly down. This can result in exacerbated car accidents that could easily have been avoided. In fact, ABS by itself and without ESC caused a 34 percent increase in fatal run-off-road crashes when conditions were wet, snowy, or icy because of this common malfunction. Inherently Flawed Design: Sometimes an ABS will be inherently flawed in design or manufacturing. Flaws are more common as systems become more complex, and while manufacturers will issue a recall when they learn of a defect, many drivers are likely to experience a dangerous situation before they even learn of the recall. Substandard Workmanship: As ABS become more complicated, they become more difficult to calibrate and repair. An issue might occur after a maintenance technician makes what he or she believes to be qualified repairs, resulting in an otherwise preventable accident. Most integrated safety systems like the ABS are in place to increase your safety and protection while out on the road. Unfortunately, because of these systems’ advanced technological makeup, they are prone to more advanced issues. If your antilock braking system failed you and resulted in a serious car accident, you may have a viable personal injury claim on your hands. To better understand your rights, contact a Miami car accident lawyer for a free case evaluation today. 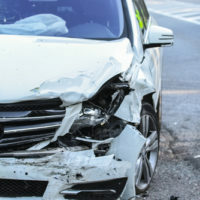 If you were injured in a car accident in Miami, it never hurts to consult with a car accident lawyer regarding your rights. If your injuries are bad enough, and if it can be proven that another person or entity is at fault for your accident, you can obtain compensation to help you cover the cost of medical expenses, property damage, and other damages. Call Spencer Morgan Law today to schedule a free case evaluation.